James Lamont & Co, Ship Builders and Repairers, Greenock, was founded in 1870 and operated from the Dock Breast. They leased the East India Drydock, later building another. 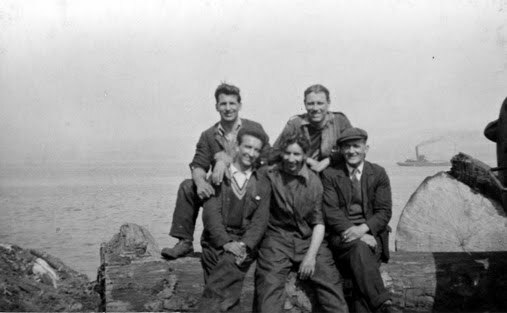 In 1925, the firm was incorporated as a private limited company, James Lamont & Co Ltd, at the same time absorbing the boiler making and engineering business of Andrew Turner Lamont, Greenock. In 1929, the Castle Works at Port Glasgow, Inverclyde, formerly owned by Clyde Shipbuilding & Engineering Co Ltd, were acquired. Shipbuilding commenced at these works from around 1946, but they were closed in 1980. Between 1946 and 1978 some 78 ships were built by the company mostly consisting of coasters, tugs, small ferries, dredgers and sludge carriers. The ship-repairing works at Greenock however, survived until 1989 when they too were forced to close. Physical Extent: 24.2 metres There are no physical characteristics or technical requirements that affect the use of this material. This material is currently being re-listed. Where available, covering dates for series of records have been given. 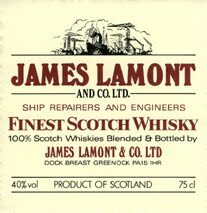 James Lamont & Co , ship builders and repairers, Greenock, Inverclyde, Scotland, was founded in 1870. In 1925, the firm was incorporated as a private limited company, James Lamont & Co Ltd , at the same time absorbing the boiler making and engineering business of Andrew Turner Lamont, Greenock. In 1929, the Castle Works at Port Glasgow, Inverclyde, formerly owned by Clyde Shipbuilding & Engineering Co Ltd, were acquired. Shipbuilding commenced at these works from around 1946, but they were closed in 1980. The ship-repairing works at Greenock however, survived until 1989 when they too were closed.